​John McInteer was born in Ireland in 1827 and came to the United States alone as a boy. He settled first in Philadelphia and later in Indiana, where he learned the trade of harness making. Hearing of the opportunities existing in the West, he moved to Kansas in the early 1860's. First setting up home in Doniphan County, John McInteer started a small shop in Atchison where he manufactured harnesses and saddles. His products became known for their workmanship, and he did a great amount of business with wagon trains plying the overland trails. His business was so successful that he had to enlarge his facilities and manufacture his products on a large scale. The wealth he accumulated from his business was invested in real estate in Atchison and nearby St. Joseph, MO. He also erected a number of business blocks in Atchison. The McInteer Villa is one of Atchison's most unique residences. Built in 1889-1890 for John McInteer, a pioneer businessman of Atchison, KS. The large, impressive brick residence was constructed at an estimated cost of $14,000. The architect has not been identified, but the builder was Owen E. Seip, a long-time Atchison contractor. John McInteer's first wife, Alice died in 1892. He married his second wife, Anna Conlon, a widow with three sons, in 1895. 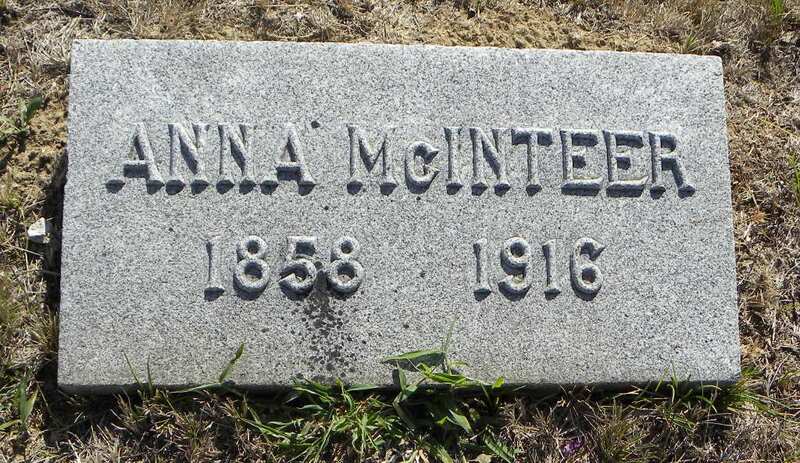 After McInteer's death in 1902, Anna continued living in the home until her death in 1916. During her ownership, the house was home to large numbers of her Conlon relatives, including many children. After 1916 until about 1925, her brother, Judge Charles J. Conlon, a prominent Atchison lawyer, and his family made it their home. For the next 25 years it was a rooming house. In 1952 the McInteer Villa was purchased by Ms. Isobel Altus, a retired professional violinist and an eccentric, according to her Atchison neighbors. She lacked the financial resources to follow through on her desire to restore the house and in 1969, shortly before her death, she sold it to George Gerardy, who had started to rehabilitate it. The McInteer Villa is still one of the most unusual and picturesque houses built in Atchison.